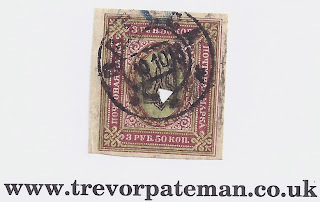 The Type 1 Trident overprint of Odessa was printed from a lithographic plate of 10 x 10, designed for Imperial kopeck value stamps. - the Trident looks good too. It's in the right kind of ink and it's under the cancellation. 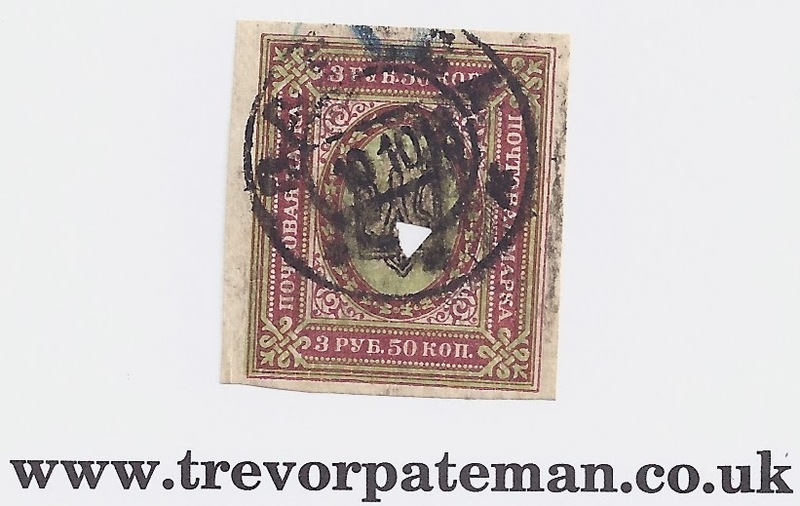 Can anyone show more examples of this stamp or find references in the philatelic literature? Do any multiples exist?